Back injuries are the leading cause of doctor visits in the United States each year. More than 140,000 instances were reported in 2013, accounting for 22% of all documented injuries. In 149 of these instances, the result was fatal. 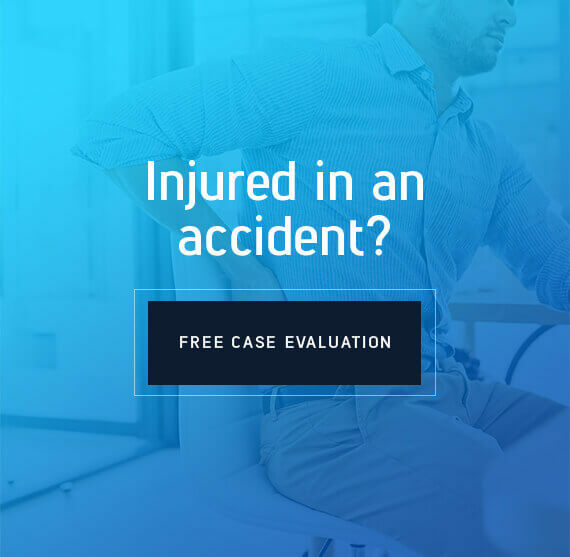 It is important to make sure if you have suffered a serious back injury to contact proper medical help and then your San Diego back injury attorney to help you recover the proper compensation for your recovery. Because spinal health and back strength are so fundamental to human movement and functioning, individuals often file lawsuits when their pain or condition is caused by someone else’s negligence. Not every back injury is eligible for legal representation and compensation, but if the injury is sustained as a result of negligence or intent to harm, there is usually an opportunity to recover damages. The San Diego personal injury lawyers at Estey & Bomberger, LLP have many years of combined successful experience handling all different types of spinal cord and back injury cases in San Diego and throughout the state of California. A majority of the above conditions are permanent and can be treated or managed, but cannot be cured or completely reversed. Further, many of the procedures or treatments for these conditions are expensive, time consuming, risky, or require a great deal of rehabilitation and recovery. However, regardless of the type of injury, all diminish quality of life. If you are suffering daily effects from a back injury, you may be looking for financial relief. It is important to start by pinpointing the cause of your back pain to determine whether or not a lawsuit is a viable option. What are the Most Common Spinal Cord Injuries? The effects of a spinal cord injury will affect every person differently, and a range of symptoms exist. However, certain types of spinal cord injuries are more common than others. The location and degree of the injury will drastically affect the victim’s prognosis and range of symptoms. The following are the main types of spinal cord injury and how they affect bodily function. Injuries affecting the thoracic vertebrae, or T1-T12, occur in the middle of the spine, in between the lumbar and cervical vertebrae. Injuries to this section of the spine tend to have a positive outlook. Victims can live independent lives compared to other spinal cord injury types. On the other hand, those who sustain a spinal cord injury will likely be paraplegic and struggle with bladder or bowel control. They may be able to drive a modified car, use a manual wheelchair, and breathe unassisted. The cervical spine makes up the very top of the spinal cord at vertebral levels C1-C7. Together, these vertebrae make up the neck. Injuries to the cervical spinal cord are often the most severe, affecting a person’s ability to function and perform basic activities of daily living. A person who suffers from a cervical spine injury may experience the inability to breathe without assistance, difficulty speaking or swallowing, numbness or tingling below the level of the injury, total paralysis, and the inability to dress or groom. The lumbar spine rests below the thoracic spine and makes up vertebral levels L1-L5. Lumbar spinal cord injuries are severe, but not as life altering as those affecting the cervical spine. A person with a lumbar spinal cord injury may experience paraplegia but have functional independence. He or she may function with a manual wheelchair or even get around with the help of braces or a walker. On the other hand, a person with this type of injury may struggle with bowel or bladder control. The last section of the spinal cord is the sacral spine, or S1-S5. A person with a sacral spine injury may experience lower back pain and leg pain, which may radiate. Additionally, he or she may experience sensory problems, especially in the groin and buttocks area. Sacral spinal cord injuries are most commonly associated with motor vehicle accidents and other trauma. Approximately 282,000 people currently live in the United States with a spinal cord injury. The incidence (number of new cases) of spinal cord injury in the United States is approximately 54 cases per million people. Men are far more likely to sustain a spinal cord injury, making up 80% of all new cases. The average age of a new spinal cord injury is 42 years. Motor vehicle accidents are the leading cause of all spinal cord injuries, followed by falls, violent crime, and recreational sports. The costs of treatment and maintaining quality of life with a spinal cord injury can be astronomical. For example, the lifetime expense of treating a cervical spinal injury sustained at age 25 is around 4.7 million dollars. This figure does not include damages like loss in earning capacity or income, only medical treatment, accommodation, and rehabilitation. Spinal cord injuries are vastly different in nature, but they all have one thing in common: they all adversely affect a victim’s life and they can prove very costly to treat and rehabilitate. Workplace: Around 19% of all work related injuries are associated with the back and spine. 69% of work related back injuries are due to overexertion, repetitive motion, or lack of motion. While 50% of work related back injuries occur in the construction field, workers in the medical and clerical fields also represent a large portion of the suffering population. This is due to the sustained repetition of small movements in their daily tasks. Auto Accidents: Whiplash is considered one of the primary causes of back injuries and occurs every 12 minutes in the United States as a result of automobile collisions. In these situations, back injury lawsuits can be filed against the at-fault driver to cover medical bills, loss of employment, and other stress resulting from the injury. Slips and Falls: 11% of all reported back injuries are caused by slips and fall accidents. Back injury lawsuits can be filed when the fall is caused by another party’s negligence, including not repairing poor, slick, or hazardous conditions or failing to properly warn people about these dangerous conditions. Nearly $100 million is spent to remediate and rehabilitate back injuries each year. Back injuries cause chronic pain which can be debilitating and immobilizing, but there’s more; back injuries often cause short-term or long-term disability for sufferers, which can mean muscular atrophy, inability to resume daily tasks, inability to drive, complete loss of mobility, affects to other parts of the body, loss of employment, or inability to work. Cumulatively, 2.9 million days of work are missed each year by back injury sufferers. Treating back injury can include chiropractic care, rehabilitation, physical therapy, and other more intensive medical treatments, such as cortical steroid injections, narcotic prescriptions, and major surgeries. If your back pain is the result of someone else’s negligence, you deserve compensation to cover medical bills and emotional suffering. Contact the law office of Estey & Bomberger today to discuss the specifics of your case, and we will help you determine the best possible course of action to reclaim your rights and regain your freedom.